If you’re a busy social marketer, you’re no stranger to a fast-paced life. In the current digital age, content is produced—and shared—every second, and it seems like you have to be connected at all times in order to keep your edge. 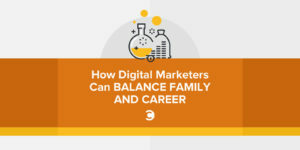 As a serial entrepreneur (currently running my eighth company, digital marketing agency StringCan Interactive), I understand the speed and demands of this industry. I also understand how being a busy businessperson can tax your family, as I saw my own family wilting right before my eyes a few years ago. For those of us who thrive in our careers, talking about our families can feel uncomfortable. It may be an area in which we don’t feel fully qualified and can’t be sure of how successful we are. But if you’ve ever looked into the eyes of your child and said, “Not now; I’m busy,” or canceled a commitment to your spouse, you know you can’t ignore this forever. The guilt and regret that can come with chasing success isn’t worth any dollar amount. I recently published a book, Family 2.0, that follows my own journey and offers a roadmap for other busy businesspeople to reboot their families and finally achieve peace in their lives, at home, and at work. 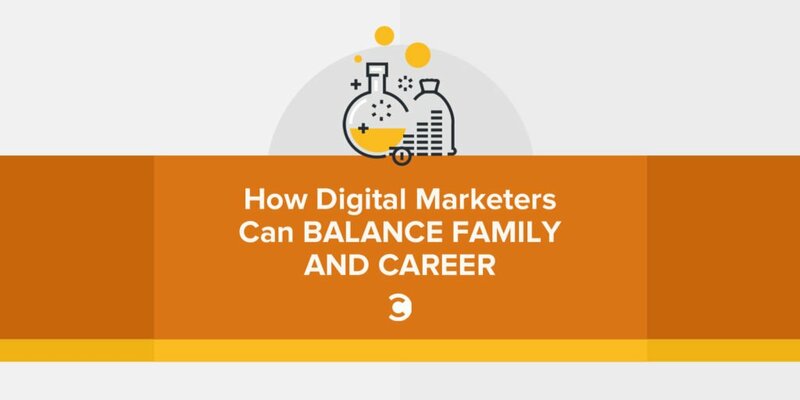 Here’s an introduction to finally creating harmony out of the longstanding struggle between building a robust career and maintaining a healthy family. You really can stop feeling like the dad in the song “Cat’s in the Cradle” by Harry Chapin (if you know that song, you know exactly what I mean). Here’s how to start. Many businesspeople feel suffocated when their families make more demands on their time. Maybe your daughter is giving you the cold shoulder after one too many missed recitals, or maybe your wife won’t stop making you feel bad about every business trip you take. It’s easy to get defensive or say they’re being unreasonable, but the first thing to realize in these situations is that your family isn’t necessarily asking you to make drastic changes. In fact, some seemingly minor changes might make all the difference. If you change your mindset so that you become intentional about prioritizing your family, you’ve taken the first big step. You’re aware there’s a problem, whether it’s a disconnect or constant fighting, and you’ve decided you want it to change. This is crucial to transforming your family relationships. Once you decide you want more than the status quo for yourself and your family, it’s time to sit down with your wife, husband, or significant other. This is often the hardest part. It takes a rare combination of courage and vulnerability to speak with raw honesty and share your feelings. But this must happen before you get your kids (or any other family members) involved. A great way to initiate an initial conversation is by using a worksheet I created called “Reflect On the Past.” This is a simple (and fun) self-guided exercise that helps you and your partner talk about events you’ve been through together and learn more about how each experience occurred to you as individuals. This will help you understand one another and get aligned, so you can approach the bigger conversations with a united front. When I realized I needed to take measures to revive my family relationships, I was initially frustrated. I never had a problem fixing broken lines of communication with my employees and felt like the interpersonal dynamics at work were usually very positive. But for some reason, I couldn’t figure out how to help my family get back on track. That’s when I turned to business principles that I knew worked. I had been using an annual goal planning retreat for my company for several years and found it to be very successful in strengthening our team’s bond and setting goals for the business (and for each of us as individuals). So I decided to adapt this premise and create a family retreat that achieves similar purposes. 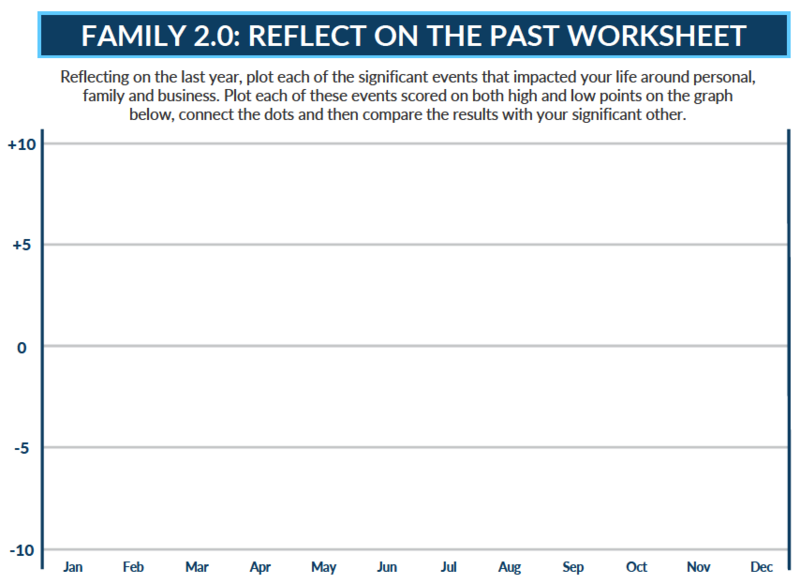 My “Family 2.0” roadmap is a customizable process that families of any size and structure can follow and tailor to fit their unique situations. It takes you and your loved ones through a review of the past year, your highlights and low points, and how to set goals for the future. It helps you to start those difficult (and highly rewarding) conversations you might have avoided for years. It opens lines of communication, helps to heal past hurts, and creates a sense of unity and excitement for the future. The cat’s in the cradle and the silver spoon, little boy blue and the man in the moon. Jay Feitlinger is the founder and CEO of StringCan Interactive, a digital marketing agency, with offices in Arizona and France. StringCan helps multi-location businesses reach more customers and achieve their inbound marketing and online advertising goals. Connect with him by visiting StringCanInteractive.com.